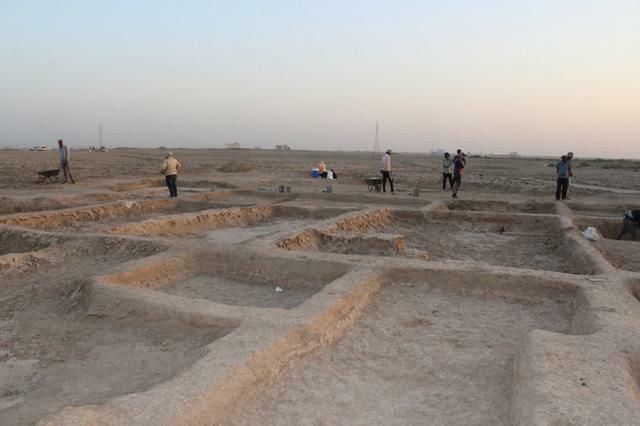 Archaeological excavations conducted in the Abu-Tbeir area near the city of Nasiriyah in Iraq, revealed the remains of the ancient port, which was located on the shore of the Persian Gulf. The work was carried out by a team of specialists from Iraq and Italy. The remains of the Sumerian port were dated to the 3rd millennium BC. The port was an artificially created basin, surrounded by an earthen rampart with a brick foundation. The harbor had two entrances for ships. Its remains are distinguishable on Google satellite imagery. According to archaeologists, this is the oldest such structure in Iraq. A similar structure was previously found in Ur territory, but it was two thousand years younger. Scientists do not exclude that a port the size of 12 Olympic stadiums was used not only for mooring ships, but could serve as a reservoir during floods.